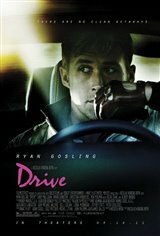 Driver (Ryan Gosling) is a Los Angeles wheelman for hire, stunt driving for movie productions by day and steering getaway vehicles for armed heists by night. Though a loner by nature, Driver can't help falling in love with his beautiful neighbor Irene (Carey Mulligan), a vulnerable young mother dragged into a dangerous underworld by the return of her ex-convict husband Standard (Oscar Isaac). After a heist intended to pay off Standard's protection money spins unpredictably out of control, Driver finds himself driving defense for the girl he loves, tailgated by a syndicate of deadly serious criminals (Albert Brooks and Ron Perlman). But when he realizes that the gangsters are after more than the bag of cash in his trunkthat they're coming straight for Irene and her sonDriver is forced to shift gears and go on offense.